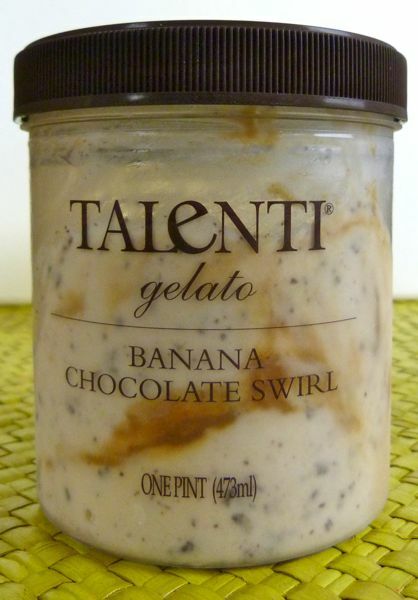 Talenti (Dallas, TX) makes tasty gelato and sorbetto. Richer tasting than ice cream, but with up to a third fewer calories, the company's gelato (with flavors like today's Banana Chocolate Swirl) somehow tastes more satisfying as well. It's hard to explain why. Maybe it's the slightly denser, richer texture. The banana, and a touch of lemon, added a tangy tropical fruit taste to this dessert, almost edging out the light chocolate swirl. However, all the flavors harmonized fairly well, especially given that banana can be a tougher flavor to work with. 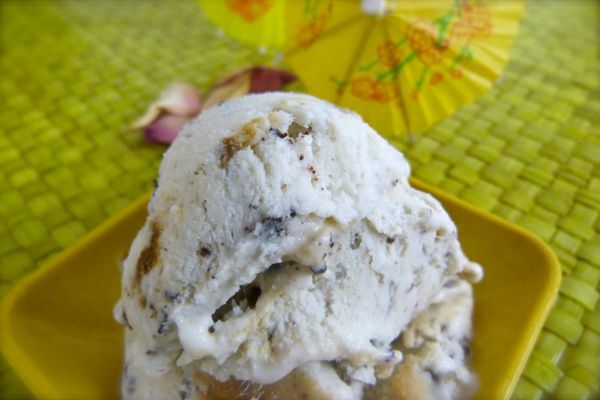 A caramelized nut topping might also be good with this gelato; I enjoyed mine plain. Today was Day #4 of Chocolate and Banana Theme Week.